Announced today, the founder of of the Apache Software Foundation, Brian Behlendorf, joins the open-source project as its first executive director and a batch of new companies joined. At the top of the open-source veteran’s list of priorities as he starts the new job is to make some “hard decisions” regarding whether the group’s codebase will consist of a single underlying technology or multiple interlocking codebases. The executive director position is newly created and Behlendorf will report directly to the Jim Zemlin, the executive director of Linux Foundation, which oversees the Hyperledger Project. Behlendorf will also report to the board of directors and indirectly to the Linux Foundation community. Staffers of the Linux Foundation who work on the Hyperledger Project will report to Behlendorf. 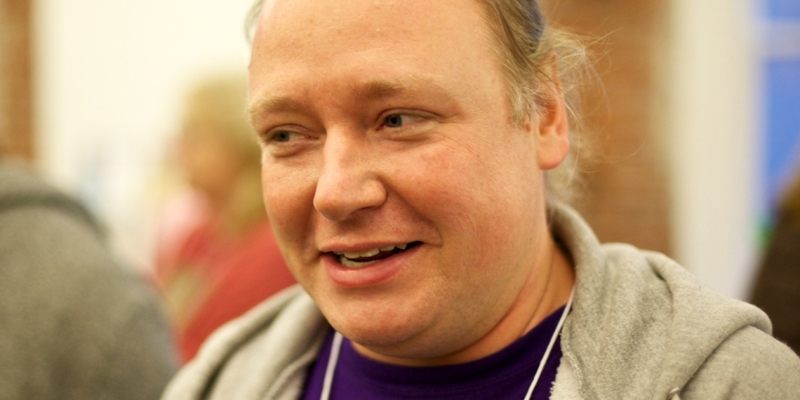 Previously, Behlendorf was a primary developer of the Apache Web server and a founder of the Apache Software Foundation, a non-profit organization dedicated to producing and distributing open-source software under the Apache free software license. Until recently, Behlendorf was also the managing director of Peter Thiel’s Mithril Capital Management LLC, a technology investment firm. While still at the firm, Behlendorf began researching the viability of several blockchain companies and learning more about the technology. Then Zemlin, his long-time friend, reached out to him to ask for his opinion about Hyperledger. To prevent any single member from exercising disproportionate control over the project, Behlendorf says it’s important that all members make contributions. Of Hyperledger’s more than 30 members IBM, Digital Asset Holdings and Blockstream donated code to be used as part of the “fabric” of codebases currently being woven together. But, there’s no reason other members might not eventually wish to make similar contributions, each of which will also have their own vested interests to measure. While Behlendorf acknowledged IBM has “come to the table with the most energy”, he said Hyperledger members and aren’t just “interested in sponsorship” but also developing the technology. Also announced today in a separate release Hyperledger added eight new members to the project.New members are: Beijing AiYi Digital Finance Technology Co. Ltd, Broadridge Financial Solutions, Cloudsoft Corporation Ltd., Coinplug, Cuscal Limited, Eurostep Holdings Ltd., Skry (Coinalytics) and Soramitsu. Going forward, Behlendorf says he intends to streamline the onboarding process for new members, to make it easier for them to contribute immediately. “It shouldn’t take three weeks to make your first pull request,” he said. Behlendorf told CoinDesk he wants to create an atmosphere at Hyperledger where participants feel they don’t have to release press releases for every pull request. By removing the sense of being under a microscope and making it easier for new partners to contribute, he thinks, he can build a group dynamic of people willing to work for the greater good.